Doris Ellen Burgess, 79, of Boise Idaho, diagnosed with liver cancer in October 2017, died at home November 4, 2018. Doris was born July 5, 1939 in Nampa, Idaho to Leslie Howard Harper and Mildred Alta Cotner Harper. She attended grade school in Nampa and in 1957 graduated from College High, a school located at that time on the NNU campus. After high school she attended Boise Junior College and became a legal secretary. 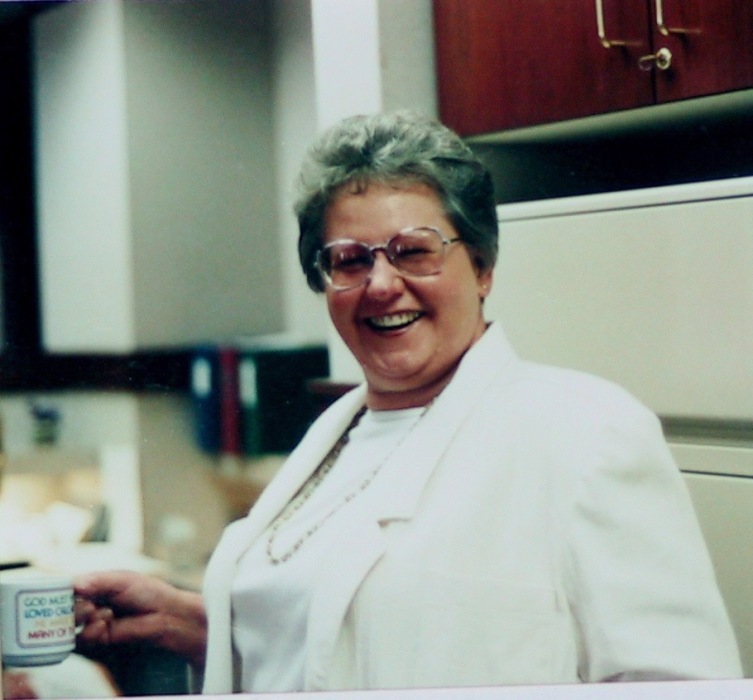 In a 40 year career she worked for many different Boise attorneys and one Idaho Supreme Court Justice. She married Willard E. Robinson in 1959 and they had two sons, cats, dogs and a lot of goats but no washing machine. This marriage ended in divorce in 1976. Doris met Marv Burgess early in 1977. He had become the proprietor of the coin laundry she frequented. She undoubtedly was impressed with all the washing machines that went with this guy. He was impressed by the fact that she was game for a second date. Their first date had been interrupted by an emergency call to one of the laundries where she was given a chance to operate the vacuum and did so like a pro. Doris married Marvin A. Burgess May 2, 1977. In 2000 after 20 plus years of hard work and little time off Doris retired and Marv sold their coin laundry business and they have since had the good fortune to reap the fruits of their labors and have had the best of times traveling in their RV and enjoying their home in the foothills of Boise. Doris, an avid reader, always had a book close at hand. She enjoyed knitting, playing computer word games and following Boise State sports. Doris is survived by her husband, Marv Burgess of Boise; her son, Marcus Robinson of Boise; her son and daughter in-law, Richard and Lynn Robinson of Lincoln Nebraska;. She was proceeded in death by her parents and an infant sister. The family gives a SPECIAL THANK YOU to the St Luke's hospice team and the private caregiver C.A.R.E. which made it possible for Doris to remain with her family in the comfort of her own home as the disease took its toll. Doris was known for her infectious laughter - her trademark. For those of you who knew and loved her we hope you will find solace knowing that Tammy, the private caregiver, was still able to elicit that laughter, although weak, only hours before her passing. A funeral service will be held on November 8, 2018 at 11:30 am, with a visitation held one hour prior to the service at Bowman Funeral Parlor located at 10254 W. Carlton Bay Garden City, Idaho.